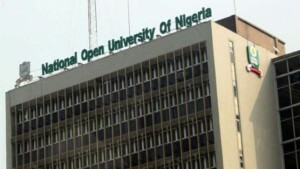 National Open University of Nigeria Resumes New Semester! Hurray! After so much long vacation, all the new and old Student of National Open University of Nigeria are thereby, informed that their school have set a new resumption date and it has kicked off. All the NOUN should take note that the new semester is scheduled to resumes on the 30th of June! Please for those that doesn’t know how the school operate, should not pay anything yet into your portal until the school management board has announces that it is officially resuming for academic activities. The consequences of not adhering to the above Short note from NOUN, is that whatever amount of Money you paid will go for the last semester and you will be required to pay another Thirty thousand Naira (N13,000) as compulsory fee by the time portal officially opens for registration. To all the NOUN student out there, you are required to note that all compulsory fees are removed automatically by the portal as you pay into bank and not from the money you initially have in your account in the school website. So if you are a new student and you haven’t heard about the resumption date neither the small note, you are hereby, advised to stay clue to this website because we will continue to update you on everything concerning NOUN! Happy New Semester -I pray God’s goodness for everyone and everything that concerns the admission of NOUN!